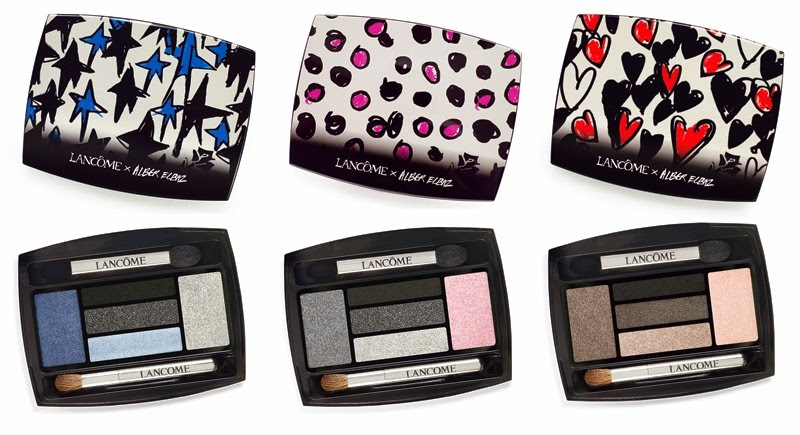 Today is the official launch of the highly anticipated Lancôme Show by Alber Elbaz. 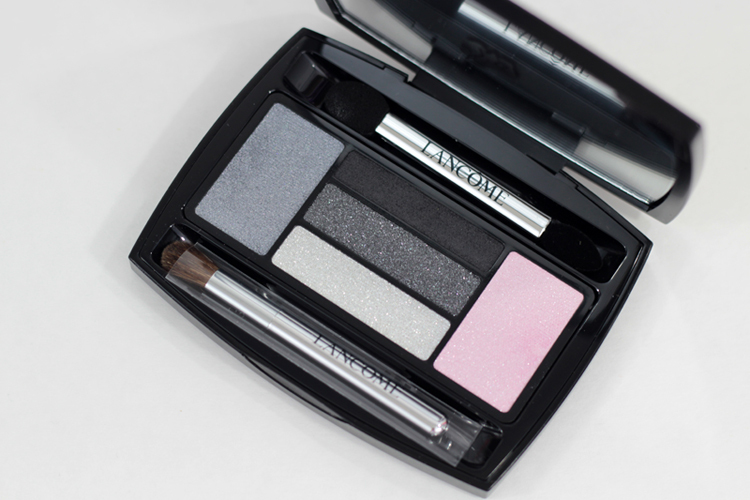 Elbaz designed this collection exclusively for Lancôme and cited that his inspiration came from that moment at a fashion show when the lights are dim and all you can see are the audience's eyes. That's why the extent of the collection is focused on the eyes. He has turned eyes into the newest fashion accessory. 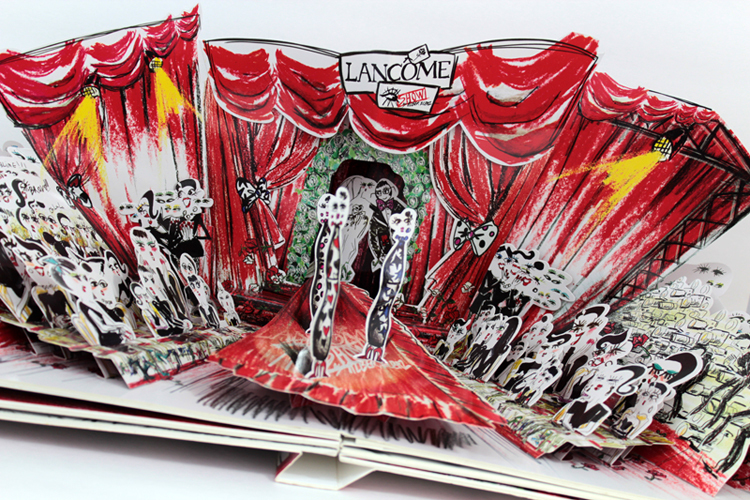 The 11 piece collection, revealed in the the pop-up book disguised as a press release, includes four mascaras, three eye shadow palettes, three single eye shadows, and the star of the show, false eye lashes. 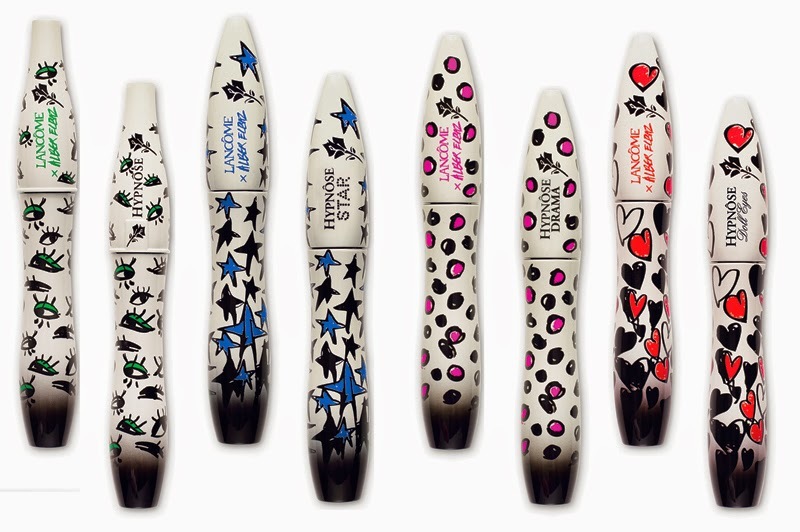 Elbaz has taken four of Lancôme's best-selling mascaras and transformed them into a work of art. Each tube is covered in various designs (which are pulled through the entire collection) and inspired by the curvaceousness of a woman's body. Hyonôse Mascara ($32) | the first genuine made-to-measure mascara, Hypnôse leaves lashes up to six times thicker, increasing with each stroke of the brush. Alber Elbaz has made Hypnôse his bride, offering it a dress scattered with eyes. Hyonôse Star ($34) | pays homage to the glamour of the silver screen with its double-sided brush designed to define stunning Hollywood eyes. Created by Alber Elbaz, its star-studded fur in electric blue makes it a studio goddess. Hyonôse Drama ($32) | is the mascara for spectacularly intense eyes, with its convex brush designed to coat and separate each and every lash and achieve scandalous volume. Swathed in its flamenco-style bright pink polka dot dress, Drama embodies self-assured and passionate ultra-femininity. Hyonôse Doll Lashes ($32) | the first “doll lashes” effect mascara, for broader, longer and lifted eyes. Draped in its red heart dress, Doll opens the show with just the right dose of innocence. 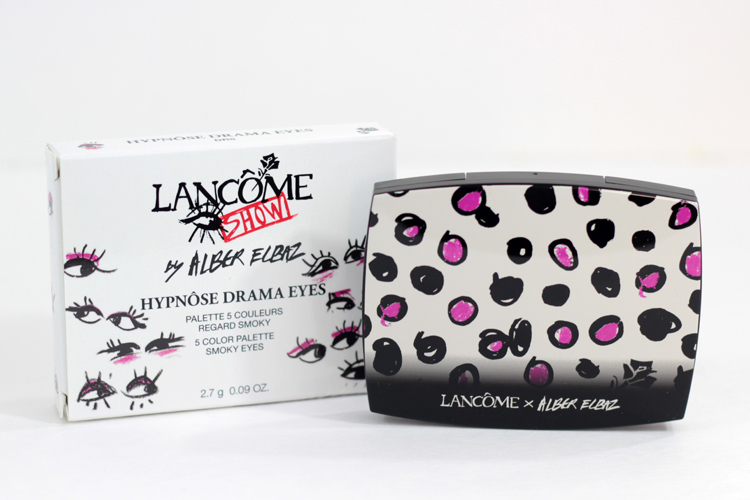 The Hypnôse Eye palettes were created around Lancôme's iconic Hypnôse mascara and restyle in this collection by Alber Elbaz. These five colour palettes can be used wet or dry. 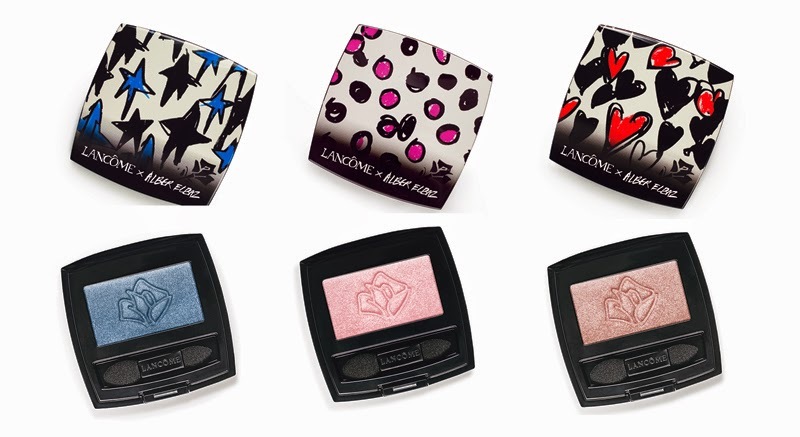 Hypnôse also offers high luminosity eyeshadow monos, again adorned with polkadot, heart or star motifs (pictured l-r): Ombre Hypnôse Star Eyes ($34), Ombre Hypnôse Drama Eyes ($34), and Ombre Hypnôse Doll Eyes ($34). 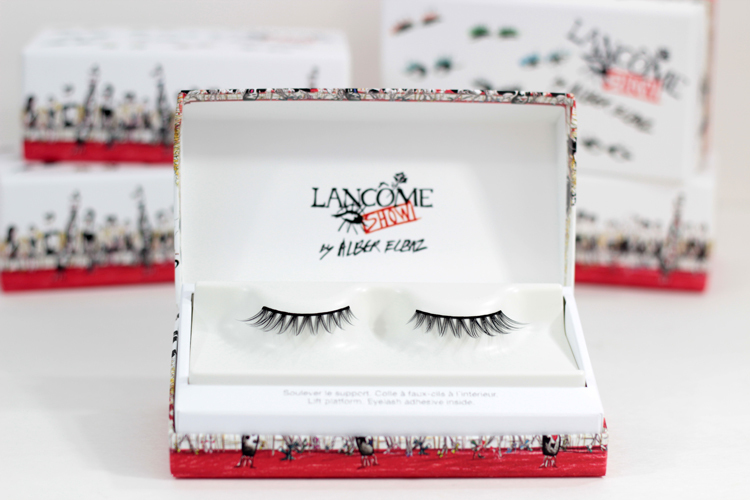 In an ultimate statement of his love for bold lines and for excess, Alber Elbaz completes this temporary collection with the pièce de résistance: false eye lashes ($35). 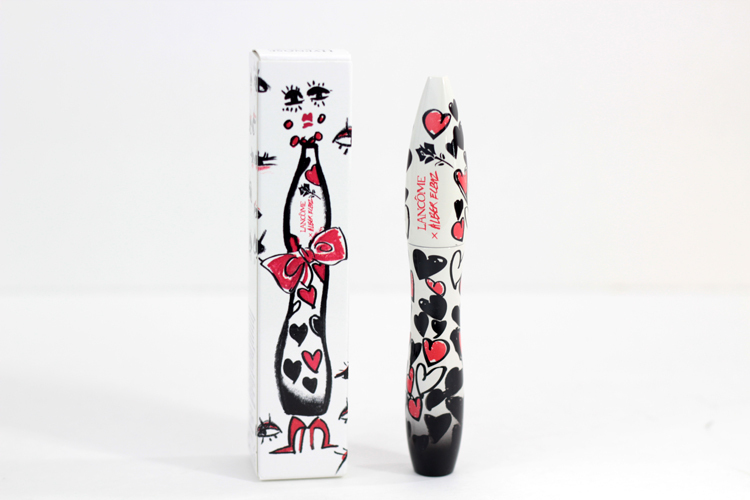 The lashes are showcased in beautifully illustrated cases and they also come with their own lash glue. The lashes will be sold exclusively at select Hudson's Bay stores across Canada. 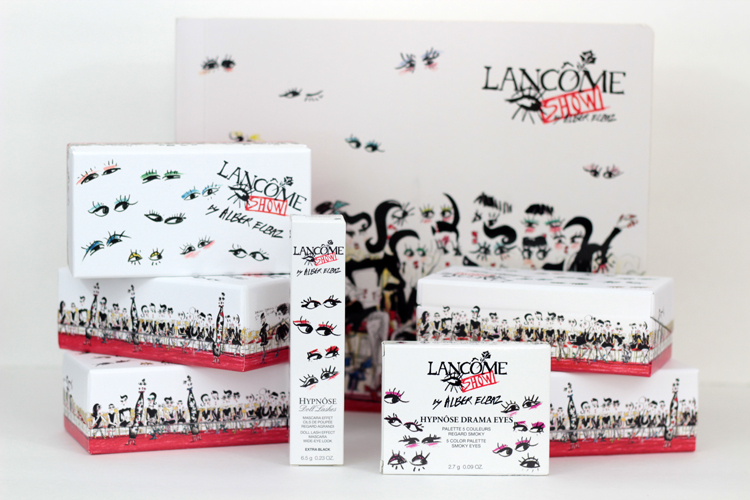 This limited edition Lancôme Show by Alber Elbaz collection will be available at The Bay, Sephora, Shoppers Drugmart, and Lancome.ca. Don't forget to check out special events happening at select Hudson's Bay stores this week! This is a gorgeous collection, so fun! Jealous you got to try them all out already! Love the packaging for this collection! I LOVVVVEEEE this collection! Every time I see the advert on YouTube I always sit back and watch it! Really well done with this post!